TUESDAY, May 24, 2016 (HealthDay News) -- New research suggests that the grueling process of preparing for a colonoscopy may not have to be endured on an empty stomach. Colonoscopy patients typically have to forgo all solid foods and go on a clear-liquid diet while taking laxatives the day before their procedure. However, this new study found that those who ate a limited amount of low-fiber foods were happier and didn't suffer any negative effects during their exam. In fact, their bowels were actually better prepared for the procedure than those of the patients who stuck to traditional clear-liquid diets, the researchers said. "The assumptions about no food on the day before colonoscopy are probably not correct. The clear-liquid diet is very restrictive, and probably too restrictive," said study author Dr. Jason Samarasena. He is an assistant clinical professor of medicine with the division of gastroenterology and hepatology-interventional endoscopy at the University of California, Irvine. The American Cancer Society estimates that more than 134,000 cases of colorectal cancer will be diagnosed in the United States this year. But while colonoscopy screening is recommended at age 50 for most adults (and even earlier for those at high risk), many don't undergo the procedure. The required preparation is simply too much for some to bear, the researchers said. The clear liquid is designed to keep the colon clear during a colonoscopy. "Things that are hard or fibrous like seeds can clog the scope," explained Dr. Theodore Levin, chief of gastroenterology with Kaiser Permanente Medical Center in Walnut Creek, Calif. Enter the idea of a low-fiber diet. The concept is to allow patients to eat foods that aren't likely to stick around in the bowel and disrupt a physician's examination of the intestines. In the new study, researchers assigned 83 patients to undergo a colonoscopy after a day on a clear-liquid diet or a day in which they were allowed to eat a small number of low-fiber foods like macaroni and cheese, yogurt, white bread, lunch meats and ice cream. The patients ate about 1,000 to 1,500 calories from a combination of fat, protein and carbohydrates. The researchers found that more of the patients on the low-fiber diet were adequately prepared for a colonoscopy than those who took clear liquids only. And, those in the low-fiber group were less tired on the morning of the procedure. Also, 97 percent of those in the low-fiber group said they were satisfied with their diet compared to just 46 percent of those in the clear-liquid group. Samarasena said the low-fiber food -- also known as "low-residue" food -- clears out of the colon because it easily liquefies in the digestive system. "The problem isn't food," he said. "It's specifically the type of food that you'll have on the day before. Things that liquefy quickly will get washed out easily." By contrast, he said, high-fiber foods like vegetables, fruits, nuts, seeds and grains are often undigested when they make their way to the colon, and they can interfere with the examination of the colon. But why would those who ate food actually have clearer bowels? Eating "probably stimulates more bowel movements the day before the procedure," Samarasena said. "You've started the colon-emptying process with the food that you've been eating." The study was small, but Samarasena said other research has produced similar results. Levin, the gastroenterologist, said the study is useful, but patients should talk to their physician before changing their colonoscopy prep. "It is worth discussing, though," said Levin, who allows diabetic patients and some others to consider a low-fiber diet. As for himself, Levin said he'd probably try a clear-liquid diet first, to maximize the chances of a "well-prepped colon," but "the low-residue diet is worth looking into." 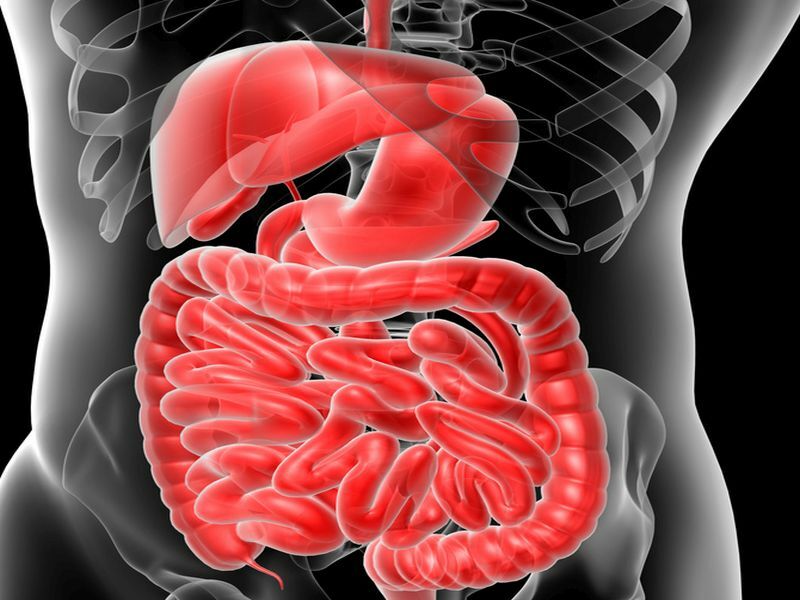 The findings were to be presented Monday at the Digestive Disease Week conference in San Diego. Studies released at conferences should be considered preliminary until they are published in a peer-reviewed medical journal.